For information or to schedule a free appointment, please fill out the form and one of our representatives will contact you shortly. Is your commercial building footing not as firm as you would like it to be — perhaps cracking and twisting, which can put a great deal of pressure on your building’s walls? Perhaps you are changing the usage of your building and need a more robust foundation to support a heavier load than the building was originally designed for. If so, you may need to retrofit your building with steel micropiles, the easiest and most secure way to repair your building’s foundation. These brackets reach deep beneath the building to anchor your fittings into a more solid surface than the shifting base. The AB Chance Helical Pull-down Micro Pile is a system for constructing a grout column around the shaft of a standard Helical Pier Foundation Systems Pile. Any time that you’re building on weak soil or working on a new construction site that is for a heavy-duty commercial application, you may need to dig deep in order to properly anchor your building. Helical pulldown micropiles are a deep foundation solution that provides a cost-effective solution to your anchoring needs. While traditional foundations are workable for many building sites, non-standard buildings require additional support in order to retain their sturdy base. Micropiles are a deep foundation solution that reduces the impact of soil that is loose or aggressive — soil that could easily break down a more traditional foundation system. To begin the process, a screw anchor is placed into the soil by applying torque to the shaft. The helical shape of the bearing plates creates a tremendous pulling force that keeps the anchor advancing downward into the soil. 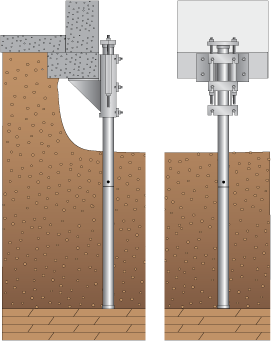 After the lead section with the helical plates penetrates the soil, a Lead Displacement Plate and Extension are bolted onto the shaft. Resuming torque on the assembled shaft advances the helical plates and pulls the displacement plate downward, forcing soil outward to create a cylindrical void around the shaft. From a reservoir at the surface, a flow-able grout immediately fills the void, surrounding and encapsulating the shaft. Additional extensions and displacement plates are added until the helical bearing plates reach competent load-bearing soil. This displacement pile system does not require removing spoils from the site. This easy-to-use solution provides additional capacity by combining skin friction along the grout column’s rougher edge with end-bearing on the spherical plates. Together, they form a pile system that is much higher capacity than it would be with one tactic alone. As your foundation is under construction, each set of piles can be extended dramatically by adding segments via a PVC grout reservoir. An excavator with a torque motor creates the initial installation, with the measured torque becoming proof of the load-bearing capacity of each segment. The soil is forced out along the reservoir, which is eventually filled with grout to cement the micropiles in place. Why Do You Need Micropiles? Some key uses for micropile installation include commercial high-test applications such as for a telecommunications tower or an electrical substation. The amount of steel that is used in these towering structures requires an additional level of support that would be difficult if not impossible to sustain in soil that is slightly loose or unstable. Even the most challenging locations respond well to this application as it reaches far below the active zone to reach the competent soil. Micropiles leave behind a minimal mess to be removed from the building site, and they can be installed in areas where there is limited to no headroom. The versatility of the system makes micropiles a stellar choice for contractors of new builds and retrofit situations alike. They can also be installed in any type of weather, and are the ideal choice for retaining walls where anchors need to be nearly horizontal. The Helical Pulldown Micropile also develops additional capacity by combining both end-bearing on the helical plates and skin friction along the rough surface of the grout column. The result is a higher capacity pile system. If you need commercial micro pull down pile, contact us now! How Much Does Foundation Repair Cost? Is Foundation Repair Covered Under Homeowner’s Insurance? 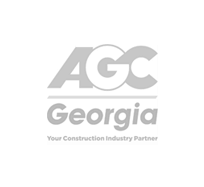 For over 30 years Atlas Piers of Atlanta has exclusively installed steel foundation products and shoring systems to lift and/or permanently stabilize building foundations throughout the Southeast. 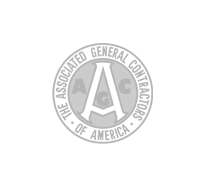 We have an excellent reputation in the industry for providing highly skilled work and operating our business with integrity. Having over 60,000 successful foundation repairs and installations to date, we have earned the trust and repeat business of high profile clients, specifying engineers, architects, business owners and homeowners. "Chad Costello, Atlas Piers VP, is a man of great integrity. The team that performed the work was knowledgeable and professional. Highly recommend this company. "Crew worked efficiently and professionally on our steeply sloping yard to get all the way down to our slab to jack up part of our house. They really knew what they were doing. "Our porch was sinking. Atlas Piers came out, surveyed the job, told us what was needed. Their crew was absolutely exceptional: courteous, diligent, and above all efficient. We are not easily impressed with most contractors - these fellows, and the company are absolutely phenomenal! 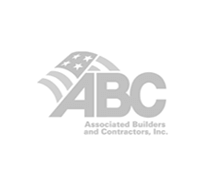 "The company and employees were very professional and helpful. The work was done in a timely fashion. Highly recommend for any foundation work you may need done. "Atlas was very professional and completed the work on time. They were, by far, the best of the 5 companies that I called for a proposal to fix my basement walls. I strongly recommend them. "These guys are professional and very easy to work with. I would recommend them to anyone! "One of the most professional companies we've had come work on our home. They are very friendly, excellent customer service, prompt, and best of all, they did the job right the first time. "I am very pleased with the work performed and the professionalism of the crew. I would recommend them for your foundation repair or even if you want an opinion on new foundation work. "Chad determined the real problem in just a few minutes of inspection. My foundation wasn't really sinking. This was a big relief...another company gave me an expensive quote just 5 days prior to Chad's visit. "They told me what I thought I needed was not necessary and referred me to someone who dealt with inspections of foundations. They were totally honest and helpful. "I felt very comfortable selecting Atlas to do the work. The foreman was extremely professional, and took time to answer my many questions. The crew did an excellent job of cleaning up. "Wayne was very honest and I would definitely use them again. Very professional and knowledgeable. "Atlas Piers did an excellent job on putting in piers for a large front step. They were punctual, highly professional and completed the work without any problems. I highly recommend them for any job. They are extremely honest. "Susan was so nice on the phone that I immediately wanted to leave a review. She referred me to a specialist for what I was looking for. Thanks. "I called them out to look at some settling on a 75 year old house. Atlas came out and did an thorough inspection and decided that the settling was fairly old, and there was no need to install the piers since it was no longer settling. Their honesty and integrity saved me $10-$15k. 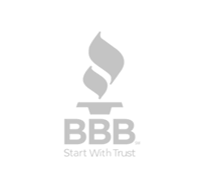 "Very knowledgeable, professional, and trust worthy. HIGHLY recommend them to be your very first phone call.